In my previous article (How to Use Facebook for Business, part 1), I addressed some of my clients’ concerns with regard to using Facebook for business. I discussed how Facebook and business can go together and produce positive results. I also detailed how to set up a Facebook profile. In this article, I will detail how to make a Facebook page for business and share some handy Facebook applications that you may find useful for your business. Setting up Facebook for business page is easy. Just proceed with your Facebook login and then scroll down to the bottom of the screen. Then click on “Advertising” or by following this link: http://facebook.com/business. That will bring up a page with the blue links one of which is called “Pages.” Click on Pages, and then click on the green “Create a Page” box on the right of the screen. You can now start filling this information in to create and customize your Facebook for business page. After you create your business page, Facebook will automatically add an application called the “Page Manager” which should be located on the top and left side of your log. 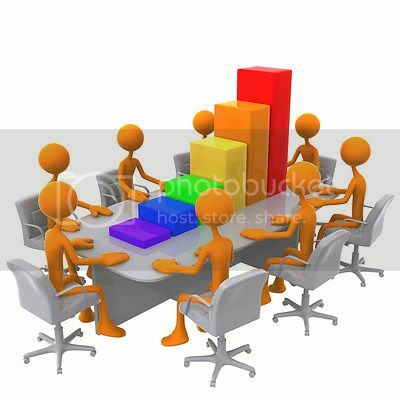 Again choose Facebook Pages, and then choose the best category for your business. Click this link to load your Facebook business page where you can then edit and add to the existing content. It is important that you choose the name of your Facebook business page carefully because the page name will become your key word search terms, and is the only text that is used in a Facebook search on a page. Once your Facebook for business page is in place, you can add applications that help to enhance how you represent your company in your own unique way. To find Facebook applications, click on “Applications” in the upper left corner of your page, or search for them at this link: http://facebook.com/apps. 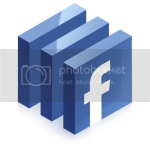 Facebook applications are fairly easy to install and to set up. If you have difficulty with any one application, please note that there is often more than one application available to accomplish the same task. Simply RSS: This allows you to display up to eight RSS feeds on your Facebook page for business and display the feeds from your business’s main site and newsrooms. Upcoming: Add all of your events to upcoming.org, and you can easily display them on your Facebook business profile page with Upcoming’s Facebook application. My Flickr: Display photos from your Flickr account using this application. These photos can include logos, product photos, photos from events, etc. to add more identity on your Facebook for business. Posted Items Pro: Optimize your Facebook for business with this app that allows you to embed multiple YouTube, Yahoo, and Google Videos, music mp3s, sites, files, and more onto your profile and Facebook pages. You can add any variety of these elements, making it great for a media center or press section. Twitter APP: If you have a Twitter account, this application will automatically pull your tweets into your Facebook status, and it automatically installs a Twitter-themed icon letting all you friends on Facebook know that you are on Twitter. It also saves you time in updating and ensures that you have some profile activity to keep you relevant. If you are not on Twitter yet, you can add this at any time to complement Facebook and business that you are promoting. By implementing these Facebook applications you will be creating an interactive page that gives visitors a more complete understanding of your business. ocial networking will take time and effort for businesses to fully benefit from it; however, this time and effort, if done consistently and in a planned, thoughtful manner, will be time well spent. In order to stay relevant on Facebook, you need to continually update your Page and use the site. If you do not have the time needed to do this consistently, then I would suggest you hire a copywriter or social media consultant to help. The more actions you take to use Facebook for business, the more you appear in a fan’s News Feed. This keeps you in their mind, and in their friend’s feeds when they interact with you. But updating content will do more than keep you on the News Feed; it will also help make your Facebook Page one that people will return to by offering fans an incentive to continue to read your content and return to your page. There are many ways to do this such as providing exclusive content, special promotional pricing, exclusive contests, product previews, or privileged access to company events. I hope this information has been helpful to you in getting started in using Facebook for business. Make no mistake about it; social networking is not a passing fad. Facebook and other social networking sites are here to stay. So regardless of whether you make use of all the social networks, you cannot discount the recent research indicating that customers are increasingly going online to gather company and product information, compare prices, and place orders. As with any new technology, social networking will take time and effort for businesses to fully benefit from it; however, it is my belief that this time and effort, if done consistently and in a planned, thoughtful manner, will be time well spent. Facebook and business can indeed work together.